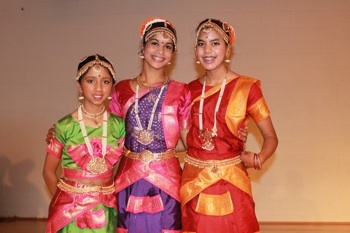 Come study Bharathanatyam (South Indian Classical dance) at Natya Leela Academy in SE Portland! NEW sessions forming for Fall 2018. Click here for class offerings at Natya Leela Studio. 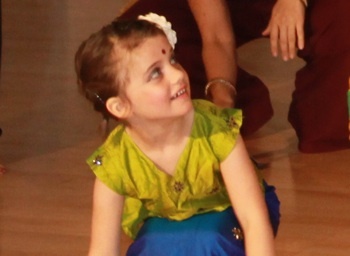 Our mission is to "teach the traditional, ancient dance styles of India and enable students to discover the dancer within." Become a fan on Facebook (click below) and get the latest on performances, workshops, and classes! Artistic Director: Subashini Ganesan under the guidance and auspices of Smt Vasanti Gopinath Jayaswal. Regional Arts and Culture Council's 2013 Project Grant Award! 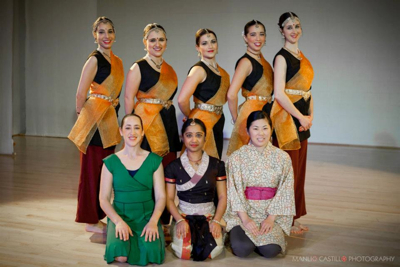 Natya Leela Academy's Artistic Director is one of the 94 individual artists in Clackamas, Multnomah, and Washington Counties to receive RACC's prestigious Project Grant Awards. 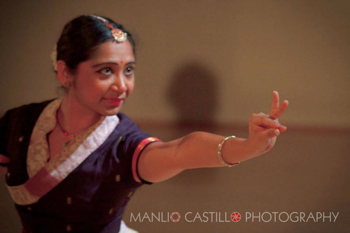 This grant will partially fund Subashini Ganesan's newest work-in-progress, "All-One," a primarily solo 50-minute dance performance that explores the theme of how our perception of and attitude towards solitude affects the kind of relationships we have. 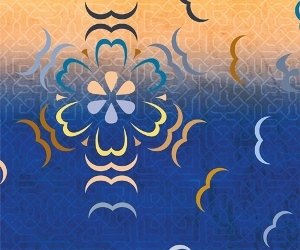 This work will be presented in November 2013. Learn more about the awards here. An exploration of the nature of devotion and emotional experiences of devotees. 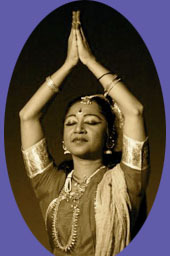 and Modern Dance (Jamuna Dasi). Concept and Artistic Direction: Subashini Ganesan. Partially Funded by a grant from the the Regional Arts and Culture Council.